Neutral for the day, sparkle for the night. 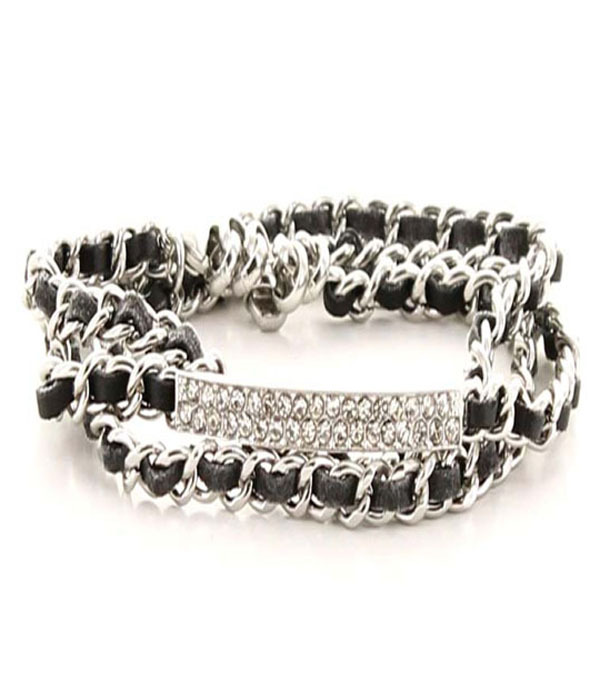 The Haleigh bracelet is a wrap-around design with feature crystal-laid I.D. plate and silver toned chain link. Start with this, then layer. Fashion jewellery Australia at its best, hot design, top quality and simply affordable.